TravelChinaGuide Tours aim to give you a perfect vacation, with well-arranged schedules and highlight attractions all your way. We offer many choices of holiday plans assisting you to explore unique Chinese beauty of the foremost oriental civilisation. Dear Christine Blair, It is a great pleasure to know that we brought you a wonderful trip and you have enjoyed your visit to the wall. Beside, we feel sorry about your unpleasant experience at the museum in Xi'an. Since it was on weekend, there was more visitors than usual. We will keep working hard to improve quality of our tours and your support on our service is very much appreciated. Thanks again! Dear Patrick Hunt, We are grateful for your 5-star rating. What a nice thing to hear that you have enjoyed your China tour with us! We are proud of having so many expert tour guides in our team. Thanks for your recommendation and we hope you will join us to explore other holiday destinations in Asia again soon! Have a nice day! Dear Sandra HANCOCK, Thanks for traveling with us and taking time to share this wonderful tour review. We are happy to know that you have enjoyed Candy's service. She will be excited to read your positive comments on her. Your satisfaction is the best reward for us continuing our work. Thanks again for your kind recommendation. We all expect to serve you again should there is another chance for you to come back to China. Best wishes! Dear randall routh, I'm so sorry that our tour does not meet your demand. On a non-shopping tour, we arrange NO STOP at any commission based tourist shops or factory stores, but some attractions may have a shop at their entry or exit, which we cannot avoid passing through. On the other hand, for clients who may want to shop for small gifts or souvenirs, we have included a few local markets as described in the itinerary. They are non-commissionable places and clients have absolutely no pression for any purchase. Hope for your kind understanding. Dear Karina, Thank you for your review. We are very sorry that the shopping visits made you feel uncomfortable. To help our guests getting some souvenirs to their families and friends, we previously included one shopping store in each city and stated each stop in the itinerary clearly to make sure clients could be aware of it ahead of the tour. While since January, 2019, we have removed all shopping stops from our tours, so that our clients can spend more time visiting scenic spots and experiencing local culture. At the same time, for people who want to shop, we will gladly assist them in finding whatever they desire. Many thanks for travelling with us. And welcome to join our excellent No-Shopping tours if you come to China again in the future. Dear Mary Taylor-Boehm, Many thanks for taking your valuable time to post the feedback regarding your China tour with the company of us. We are pleased that you have not been disappointed in the whole journey with a little discomfort. We will take your suggestions into consideration and try our best to make any possible improvement. We sincerely wish we will be able to work with you again in the future. Have a nice day! Dear Justin Dowe, Thank you for sharing your tour review with us! It is a great joy to see that you had a great tour with us. Your satisfaction is the great encouragement for us. We hope that we have another chance to serve you in the near future. Have a nice day! Well organised and stress free trip with fantastic guides and drivers! Dear Ian Robinson, Thank you for having chosen us to arrange your tour in China! We are very glad to hear that you enjoyed your trip. It is also delightful that our guides have met your expectation. We really appreciate your support and hope serve you next time. Dear ?? ?, It is really a pleasure for us to read the review regarding your first China tour with our company. We are glad to know that our service has met your expectation. Thanks for your recognition and wish that we can meet you again in the near future. Best regards! Dear Shang Lew, We feel excited to see your comment regarding your tour experience with us here. Thank you for your support, and we are looking forward to serving you again in the near future. Best wishes! What sights are recommend to see for first-time travellers? 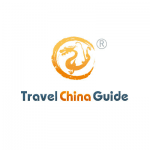 For first time travellers, the top destinations of Beijing, Xian, Guilin, Shanghai and the Yangtze Cruise are recommended. Both Beijing and Xian boast cultural and historical relics, such as the Great Wall, Forbidden City and Terracotta Warriors. Guilin is well known for its natural beauty. Yangtze River cruise allows travellers to immerse themselves in the wonder of the natural surroundings. And Shanghai shows the country's modern development. In regards to the best time to travel to China, we recommend either late March to May in spring or September to October in autumn for the best weather and scenery. What is the group size of the tours? The maximum number of travellers in a group is 18. These smaller groups ensure that travellers get maximum enjoyment from their trip and have a more meaningful interaction with the guide. Is a visa required to do your tours? A visa is needed by most visitors to China (excluding visits to Hong Kong). These are easy to obtain from the local Chinese embassy or consulate in your countries or regions. For detailed information about a visa, please consult your local Chinese embassy or consulate. What is the average age of people on your tours? There is generally a mix of travellers on the tour. The majority of people are middle-aged or seniors and there will be some younger travellers aswell.